Seed money was raised in part by road races in memory of Amy Bagley Lake and her two children, killed by Steven Lake in June 2011. SKOWHEGAN — If Steven Lake had been wearing an ankle monitoring bracelet in June 2011, he might not have had a chance to drive from his business in Harmony to Dexter, where he murdered his estranged wife and their two children before turning the gun on himself. Lake, 37, had a court-imposed protection from abuse order against him and bail conditions preventing him from having contact with his wife and children. With a monitoring device, Lake could have been tracked when he approached his family’s home. 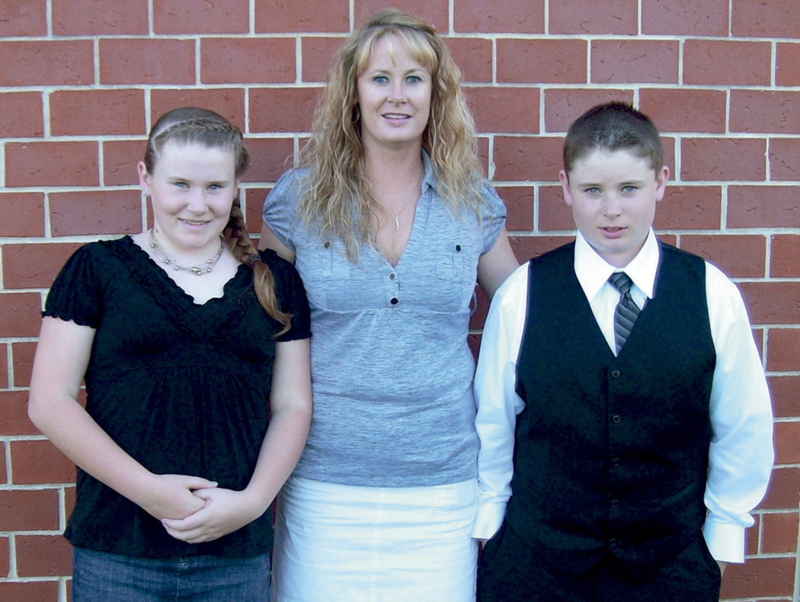 There was no such device available to law enforcement then, and Amy Bagley Lake, 38, and her two children, Coty, 13, and Monica, 12, were murdered. All four were shot with a 12-gauge shotgun. This week, Somerset County commissioners approved use of a Blutag — a one-piece GPS monitoring device for tracking the movement of people charged with domestic violence crimes. The program is the first in Maine, and money from an event sponsored by Bagley Lake’s parents helped get it rolling. Lancaster said if Lake had been wearing the bracelet as a condition of his bail in June 2011 the sheriff’s department would have received notification immediately that he’d approached his family’s home in Dexter, where they were shot. Increased use of GPS devices to track accused abusers who are under a protection from abuse order after a serious domestic violence incident was recommended in a 2011 report by four police officers who were commissioned to investigate the Lake case. Their report detailed Lake’s repeated violations of domestic abuse protection orders. Wearing the device will be a voluntary condition of bail during the pre-trial period — either wear the bracelet or face high bail —— and the possibility of not being able to post the amount required for release. When an enrollee leaves the area to which travel is limited by the bail conditions, the device sends a signal to the Somerset County Regional Communications Center, where dispatchers alert law enforcement officers. Lancaster said he and District Attorney Maeghan Maloney attended a 5K walk-a-thon in Dexter last June held to raise public awareness of domestic violence. The event was sponsored by Ralph and Linda Bagley of Harmony, Amy Bagley Lake’s parents. The event raised $14,000 for an electronic monitoring program, Maloney said. 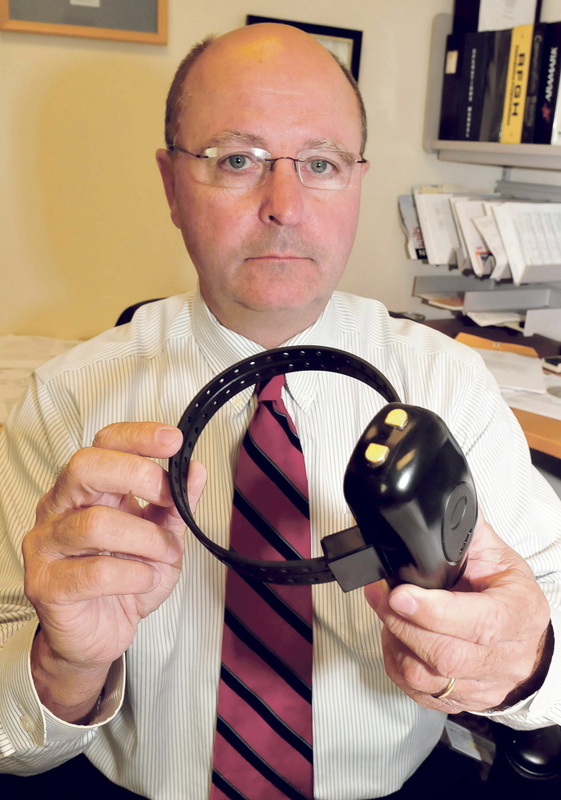 A race in 2012 raised another $18,000 for the state to look into electronic monitoring. The Bagleys couldn’t be reached for comment Wednesday, but in 2012, Ralph Bagley said the program is essential. The devices are rented by the county and cost $4.25 a day each. Maloney said the monitoring devices include exclusion zones — areas the violator is not permitted to enter. It could be around the victim’s residence or work place or where children involved go to school. Melody Fitch, executive director at the Family Violence Project in Augusta, said she has heard of the Somerset County project and sees it as a positive step in reducing cases of domestic violence. “We’re pretty excited about the possibility of this as a deterrent for perpetrators and hopefully for increased safety for victims of domestic abuse,” Fitch said. “We know the district attorney’s office has been looking very carefully at this issue. Use of the monitoring device as a condition of bail would have to be approved by a judge during a defendant’s bail hearing, Maloney said. The screening tools are called danger assessments and include the Campbell assessment, a scale devised by a Johns Hopkins University professor to evaluate the danger faced by a victim of domestic violence in a relationship. It is similar to the Ontario Domestic Assault Risk Assessment, a tool adopted by the Maine Legislature as a predictor of future behavior, which uses a series of questions to identify factors that experience has shown are present in domestic violence attacks. Blutag was first used in 2005 by Satellite Tracking of People LLC of Houston. The device attaches around an enrollee’s ankle and remains there until the supervising agent removes it, according to the company’s website. The company provides cellphone-sized trackers attached to the bracelets. Lancaster said contracts for use of the devices still have to be worked out with the company, so the program may not begin until the end of September. Maloney is district attorney in both counties.